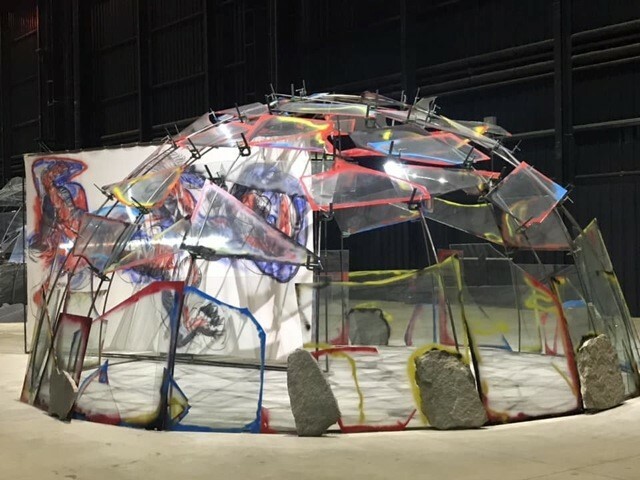 Pirelli Hangar Bicocca presents from 25 October 2018 to 24 February 2019 “Igloos”, an exhibition dedicated to Mario Merz, one of the most important post-war artists, bringing together the body of his most significant works, the igloos, made between 1968 and 2003 , the year of his death. 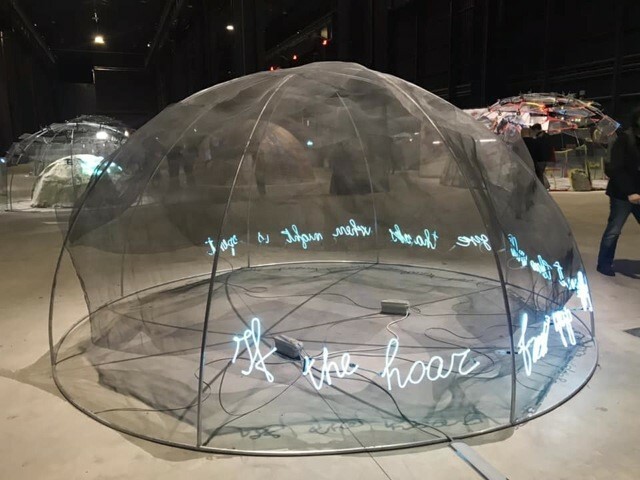 Mario Merz is the key figure of Arte Povera, one of the first artists to use the installation. 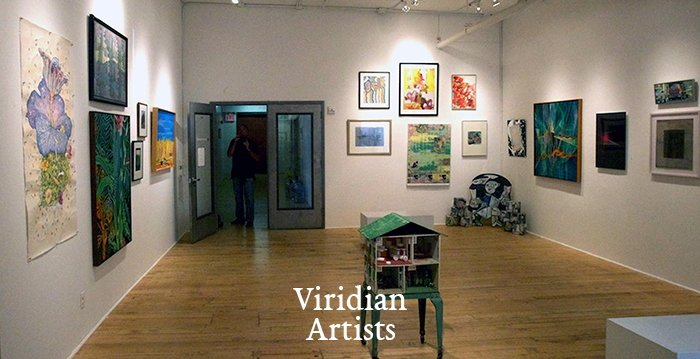 The exhibition project is curated by Vicente Todoli and is in collaboration with the Fondazione Merz. 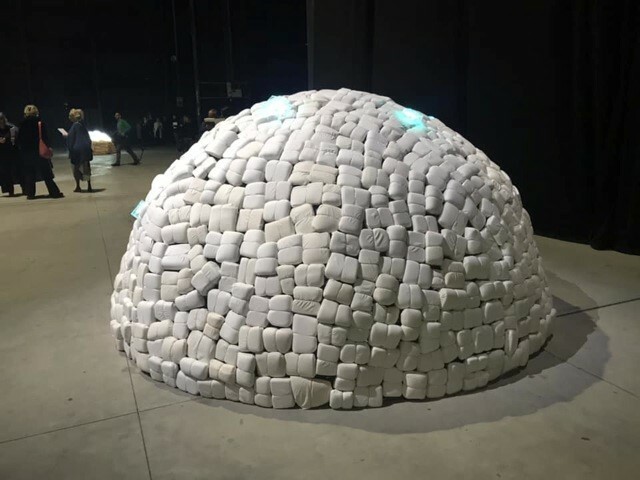 Over thirty installations in the shape of an igloo, similar to primitive houses, fill the entire central nave of the museum, creating a path with a strong visual impact. In the huge exhibition space, their layout is reminiscent of a village, an unreal city, a country. 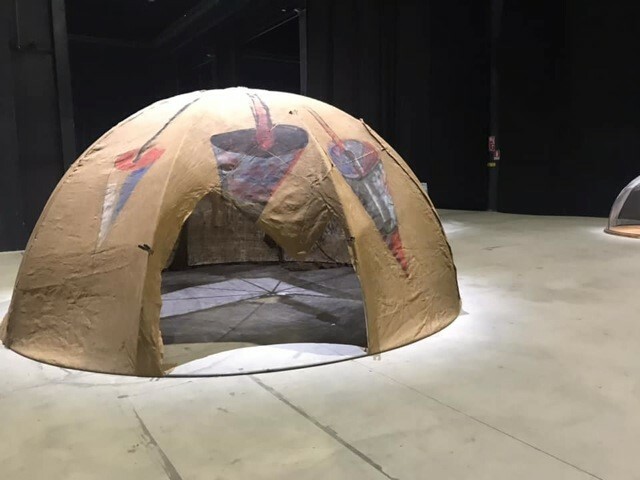 Archetypes of inhabited places, the igloos are made of natural and industrial materials, noble and less noble but all treated with the same dignity and importance, from wood to marble, to wax, to iron. The numerical sequences of Fibonacci, which underlie an evolutionary model and which have been used since 1970 as a paradigm of the energy inherent in living matter, mark the time and space at the top of the arches. A metaphor of place and space, igloos are like individuals, they all look the same, but in reality they are all different. Similar to planets that attract and repel energy, they delimit a space and define the boundaries between inside and outside. Symbol of the womb, with their synthetic image and in the semi-spherical shape enclose different realities, from the natural to the urban one. 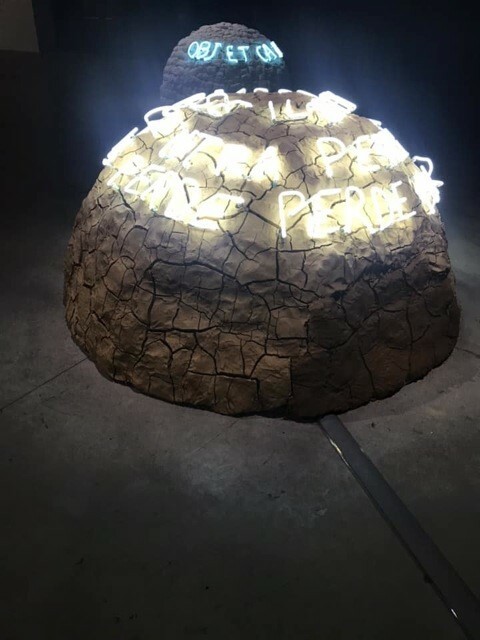 Light, water, earth stone wood: all the construction materials used by the artist are transformed by a subtle poetic alchemy and create a dynamic landscape in which the works interact with each other following a musical and pictorial score. 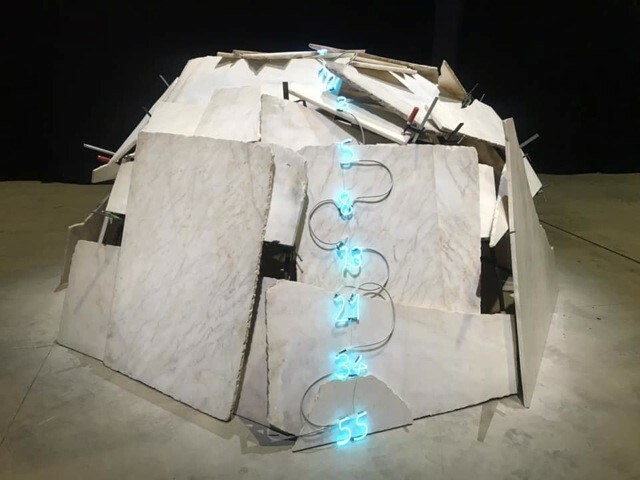 All the works are exhibited together for the first time in Italy and come from numerous private collections and international museums, including The Tate in London and the Nationalgalerie in Berlin, the Museo Nacional Centro de Arte Reina Sofia in Madrid.